Nepal is a place where society is literally just like a large family. It is common to see men holding hands and people calling each other “older/ younger sister” and “older/younger brother”. Holding the palms together as in a prayer and saying “Namaste” is how the Nepali people most often greet each other. 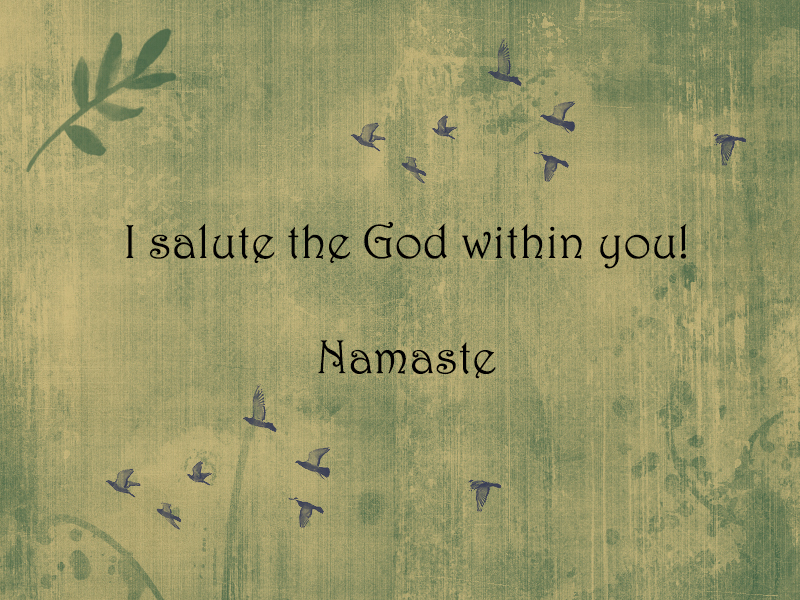 It means, “I salute the god within you” and is used instead of “hello”. The religion of the population in the Himalaya region is Buddhism (around 8 % of the population) while the Nepalese from the lowlands are Hindus (more than 85 % of the population). 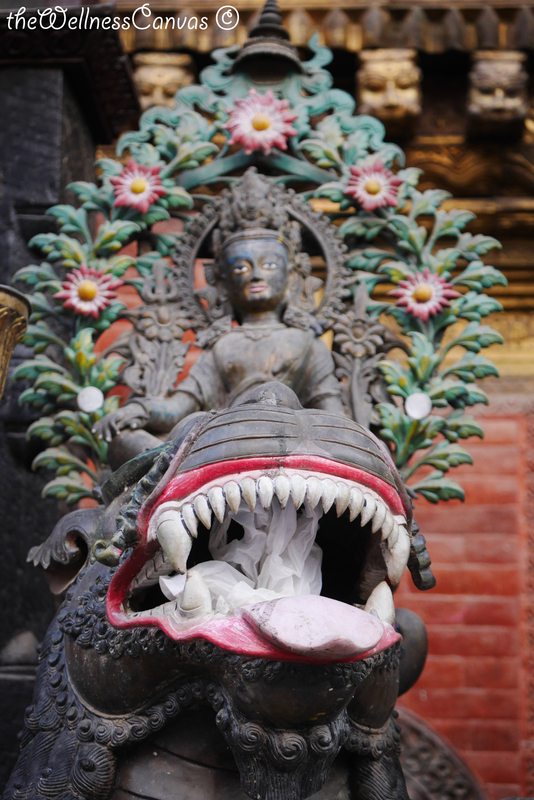 Hinduism is the major religion in Nepal. It is a polytheistic religion and you will notice that Hindu religious buildings incorporate many different gods and goddesses. However, major gods are: Brahma – the god of creation, Vishnu – the god of preservation and Shiva – the god of destruction. One of the basic concepts in Hinduism is karma – the belief in reincarnation and that your actions influence your next life. Your good as well as your bad actions will have consequences in your current or next life. Another concept is dharma – the universal principle of law, the moral force of the universe. It could be both universal and personal. Different people have their own dharma that depends on different obligations, age, gender and social position. Part of the dharma concept became the caste system concept. According to it every individual is born in a particular caste. Buddhists do not worship any god in the traditional sense and that is why Buddhism is known to be a spiritual tradition rather than a religion. The focus of the Buddhism is personal spiritual development and to many people is a philosophy and way of life. A monk on his way to Tengboche monastery. Spiritual goal of Buddhists is achieving a state of nirvana or enlightenment by following the way of Buddha. Siddhartha Gotama, the Buddha, was a prince born into a royal family in Lumbini, now located in Nepal. Despite living a life of wealth and luxury, he realized that this is not the most important condition for one to be happy. He became a monk and devoted his life to explore different religions and philosophies until he found the “middle path” to human happiness and was enlightened. This is how Siddhartha Gotama became popular as the Buddha – “the awakened one”. Buddhists believe that path to enlightenment is possible through mindfulness, moral life, meditation and understanding. The Buddha himself spent 6 years of meditation until he reached enlightenment. A Buddhist stupa – religious monument that should be walked around clockwise. I leave the final words on the subject to one of the most famous songs that you will hear in the Buddhist part of Nepal. The song is devoted to the Buddhist mantra – Om Mani Padme Hum. “Om symbolizes the pure exalted body, speech and mind of a Buddha and Bodhisattva. Mani, meaning jewel, symbolizes the method, great compassion and love. Just as a jewel is capable of fulfilling the outer needs of sentient beings, similarly, love and compassion are capable of fulfilling the inner needs of sentient beings. Peme, meaning lotus, symbolizes wisdom. Just as a lotus grows from mud but is not polluted with mud, similarly, wisdom “the supreme knowledge” is grown from ordinary mind but not polluted with ordinary thoughts. Hum, indicates union. The union of method and wisdom leads to pure exalted body, speech and mind of enlightened beings.